Sitting alone on the couch watching Designing Women reruns? No matter - this is the perfect dip for you. When I serve it at parties, the recipe is always requested. It will create friendships where there were none. It will convince others to hang on despite those pictures you tagged on Facebook. 14 oz. can of Ro-Tel. If you live somewhere without Ro-tel, first, my apologies. Second, it's diced tomatoes and green chiles. 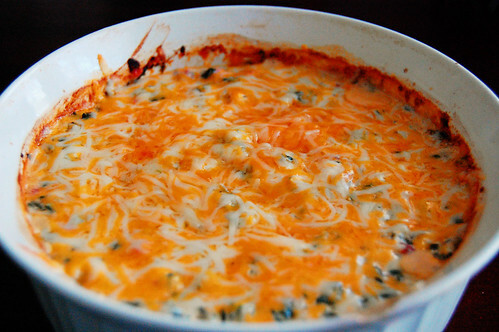 Leave out just a small handful of the grated cheese to put on top after it's cooked. Then, bake for 20 minutes. My muffin top longs for this. You can serve with tortilla chips or my personal preference - plain pita chips. Whether it's a gaggle of folks or just you and Suzanne Sugarbaker. This sounds so good. 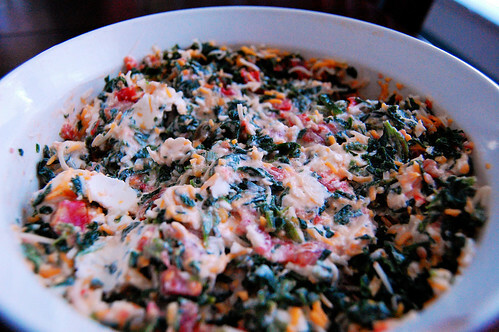 I love all manner of spinach dips, but I have not tried this. Yum. And with Suzanne and Julia added in, it would be even better. Umm... if you live in a place without Rotel maybe you should move. This looks delicious. MH: I also don't discriminate against spinach dips. I like to think they are healthy. K: Ooooh - sounds delish! 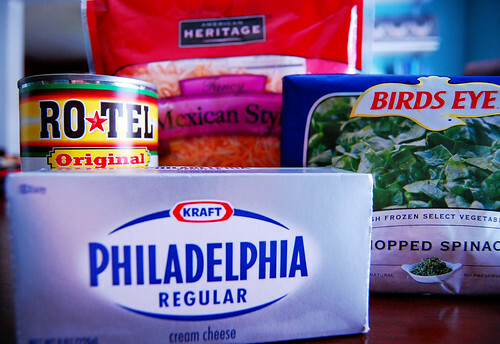 You had me at "cream cheese"
TW: It's quite the aphrodisiac! Again -- thanks for sharing. God bless!